A brief introduction to who we are and what Services we can offer you or your Company. 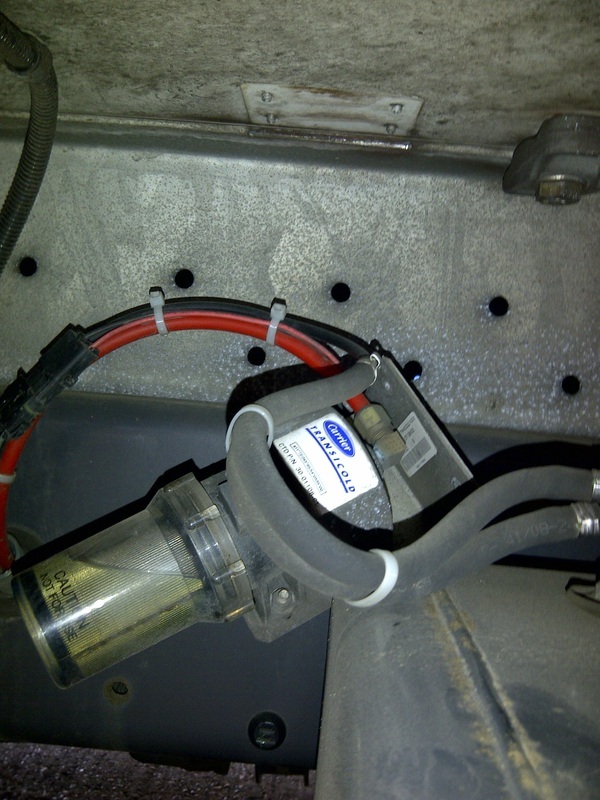 Above is a picture of a typical installation that is well on the way to provide 240v AC mains power to one of our customers Service Vehicles. Below are a sample of some other installations we have designed and fitted for different customers all with different applications. 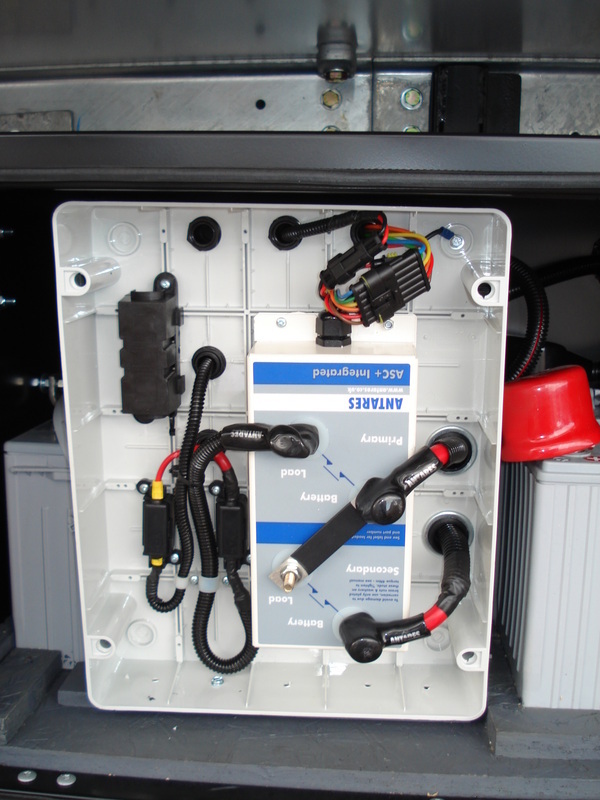 Systems Installations to fault finding and vehicle Diagnostics. These are just some of the services we provide. 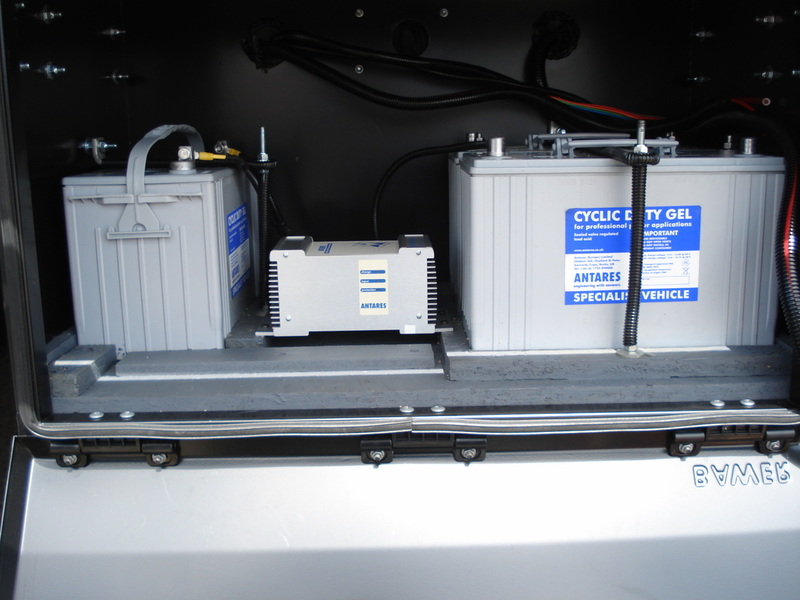 Established in 1986 we have been working on 12v and 24v vehicles for over 32 years. We provide a totally mobile service so we come to you. 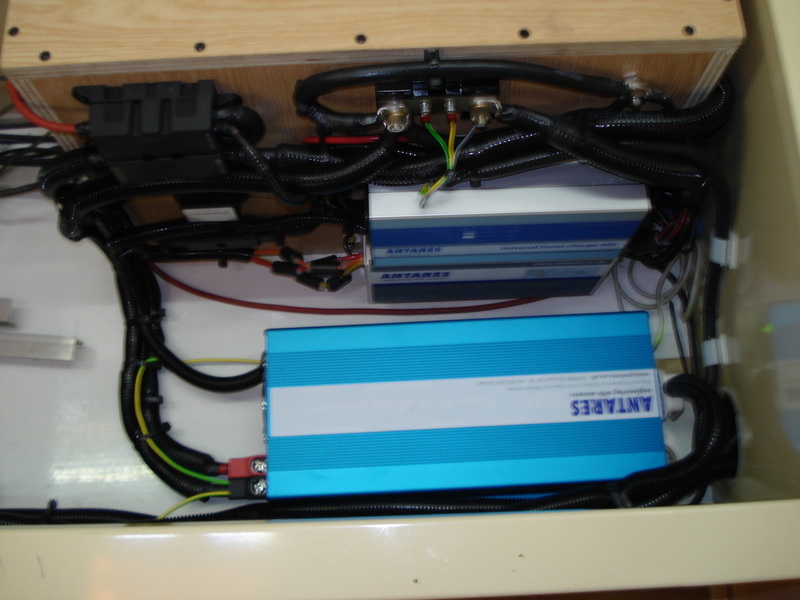 Above is a picture of a Power Management System fitted to one of our customers HGV's.This system powered the rear taillift, on board tracking system, communication systems, a mains inverter for mains 240v AC power and thier CCTV system to monitor thier critical cargo and the exterior of the vehicle for insurance purposes! In partnership with one of our suppliers we can tailor make a similar system that fits your requirement, which fits your vehicle exactly and is simple to use. 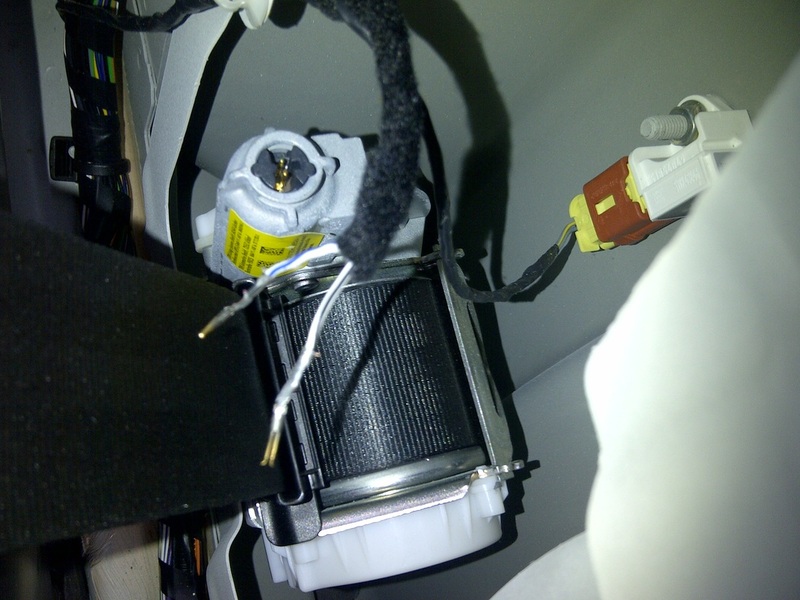 Most importantly it will work and deliver the correct power, be it 12-24v DC or 110-240v AC first time, every time. 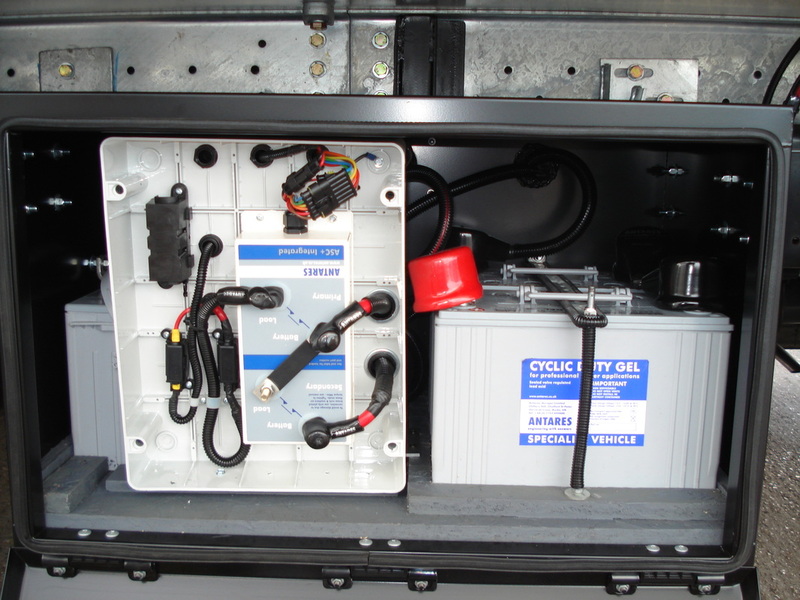 This customer needed a 12v DC power supply in his 24v HGV to power various pieces of equipment. So we incorporated a DC to DC charger to solve problem. 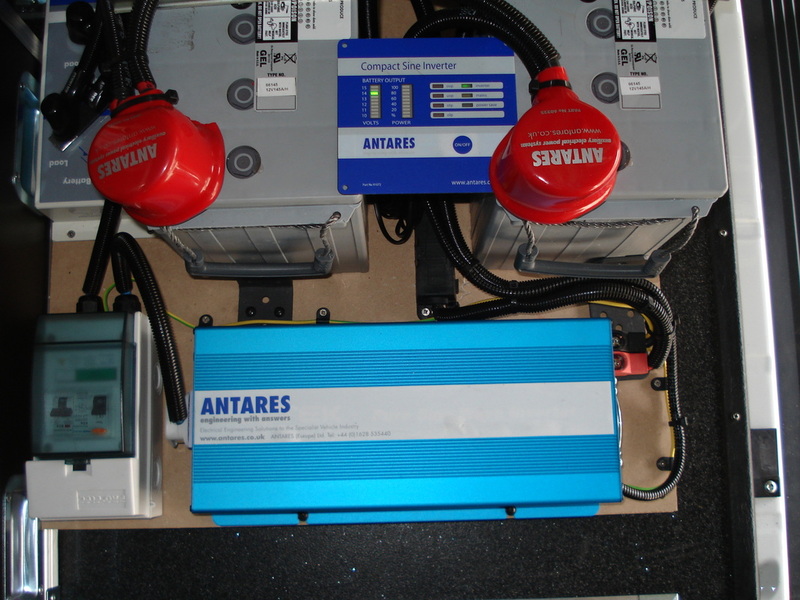 We installed this equipment on behalf of Antares TDC Ltd and was used by LOCOG in the main camera vehicle which filmed all of the footage of the Torch Bearers who carried the Olympic Flame around the UK and Ireland. 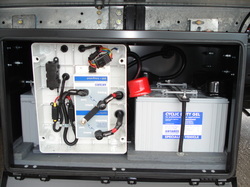 Comprising of a 1.5KW inverter, for mains power, a Micro active charger for DC split charging and a mains charger for on site hook up when vehicle is parked up at night. Split charging and battery protection all in one conveniently located solution. 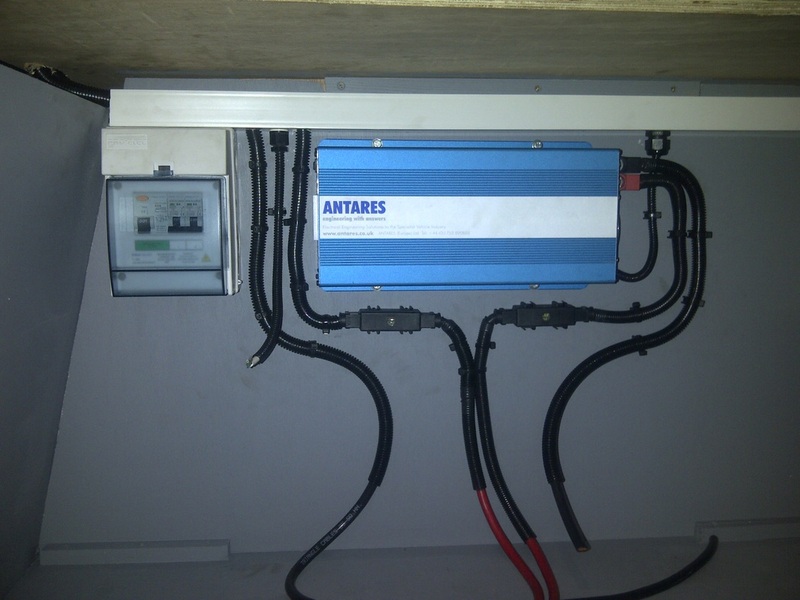 This is another temporary installation to provide mains 240v AC power to run radio transmitting equipment. All this was installed into a hired minibus which was used by LOCOG as a support vehicle for the Torch Relay which travelled all around th UK before the 2012 Olympics. Once its task was completed the system needed removing with no visible marks or holes as per the contractors very specfic requirements. Vehicle Electrical Repairs & Diagnostics. Broken down? Got warning lights on the dashboard that won't go off? Whatever your problem, just give us a call and if we can't help directly then we can point you in the direction of someone who can. This Mercedes Sprinter was intermittantly failing to start. Even a Mercedes main dealership missed this!! When the airbag warning light would not go off this Fiat 500 owner called us to fix the problem. 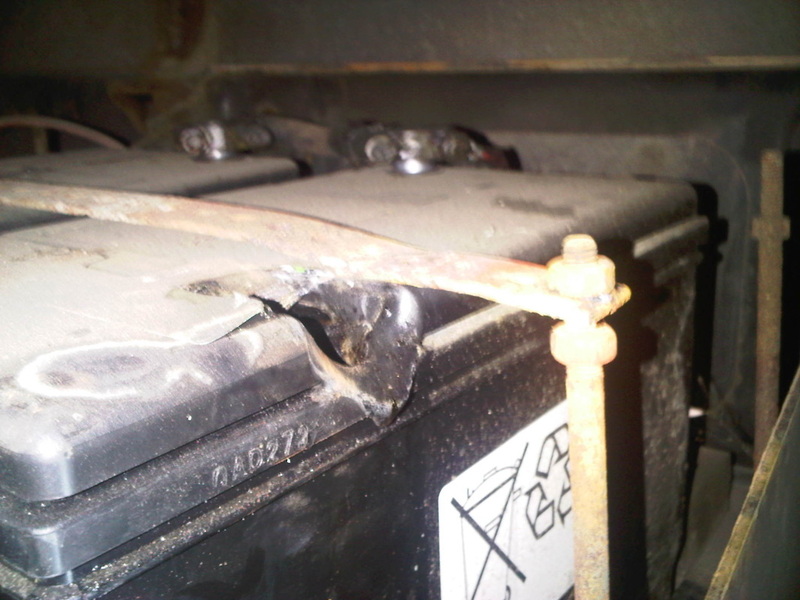 After an accident and trip to a bodyshop, this van driver gave us a call as his reverse sensors stopped working. This picture says it all!! 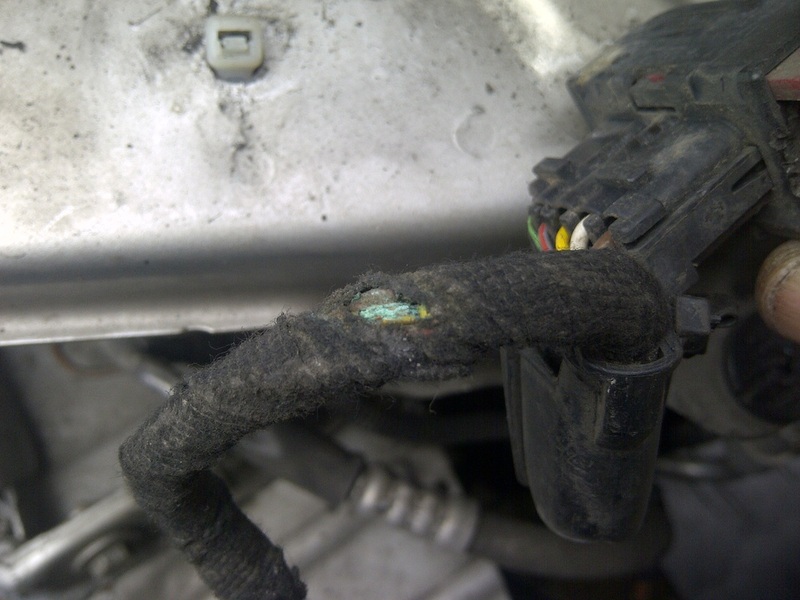 6 months after bodywork repairs this Vauxhall Astra developed a headlight fault. When you don't fit your batteries correctly this is what can happen. No the hole is not supposed to be there. 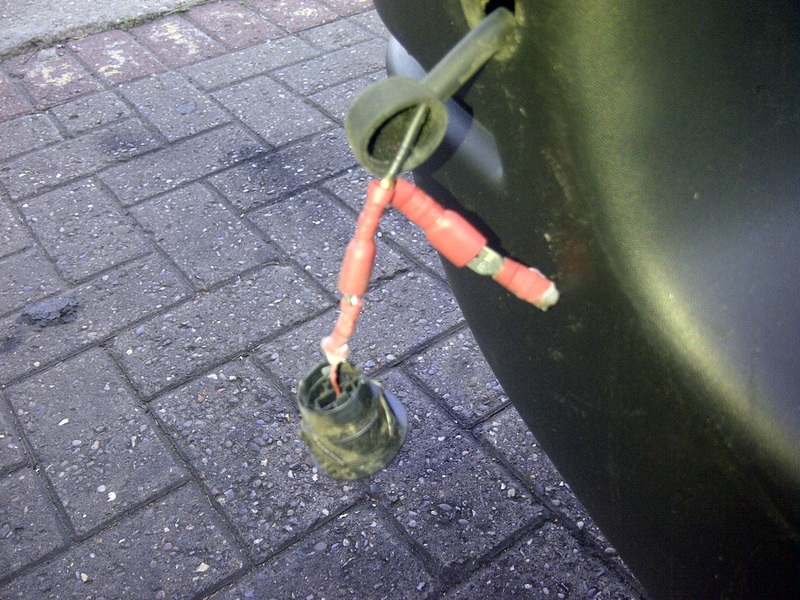 Intermittantly this Ford Transit's central locking fuse would keep blowing. Whilst checking something unrelated we noticed that this filter/pump assembly was ready to fall off. 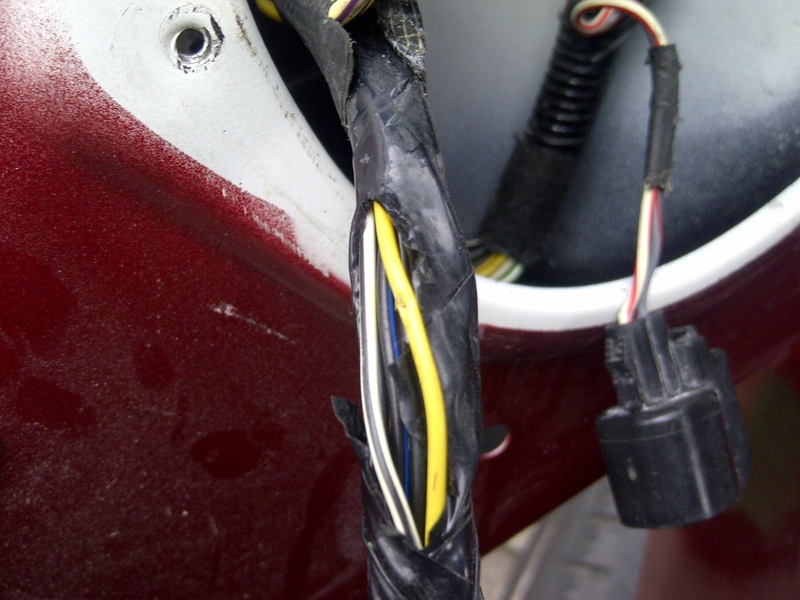 We fixed it and the orginal wiring fault, ensuring our customer didn't experience another breakdown in the near future.